Do you see how moist this wonderful bundt cake is? Just delicious! And also thanks for sharing this wonderful recipe with us youtubers. Lizzy! 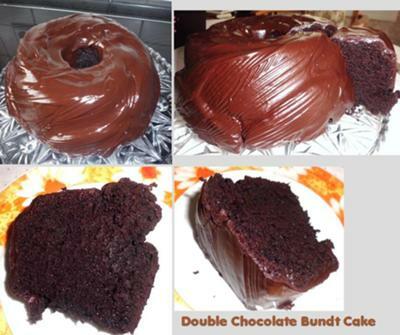 What a wonderful job you did of the Double Chocolate Bundt Cake - thanks so much for sharing your pictures and for contributing to my website. The recipe is definitely one of my favourites also - thanks again (glad your friends loved it)..